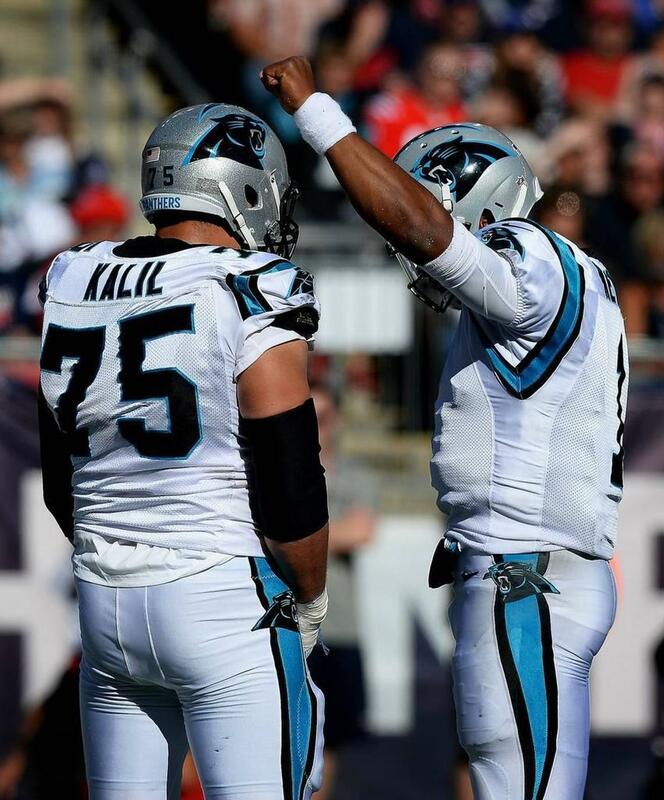 No Carolina Panthers players have knelt on-field during the anthem. However, Julius Peppers chose to remain in the locker room during the anthem several weeks ago. And earlier this month, Cam Newton raised a clenched fist after a touchdown, which he says was meant to "signify black power." The intersection of politics, sports and social activism. What happens when athletes don’t just stick to sports - we get reaction in Charlotte and around the country. The firestorm of controversy over NFL players protesting the national anthem hasn't lost much steam, even after weeks of attention. It all started with Quarterback Colin Kaepernick taking a knee during the playing of the anthem before an NFL game last year. But recent remarks by President Trump about firing players who took a similar action spurred other players to protest, igniting controversy among players, coaches, owners and fans. Players around the league say they are using their platform to raise awareness of racism and police brutality against African-Americans. 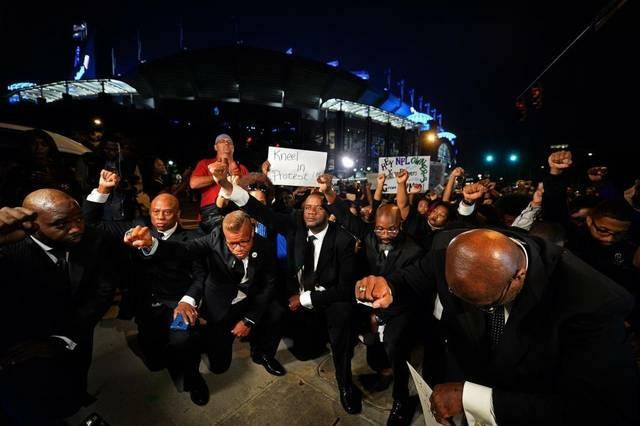 Local pastors and activists led a 'kneel in' protest outside Bank of America stadium in Charlotte ahead of the Panthers-Eagles game last week. But some see it as unpatriotic and disrespectful to the flag. 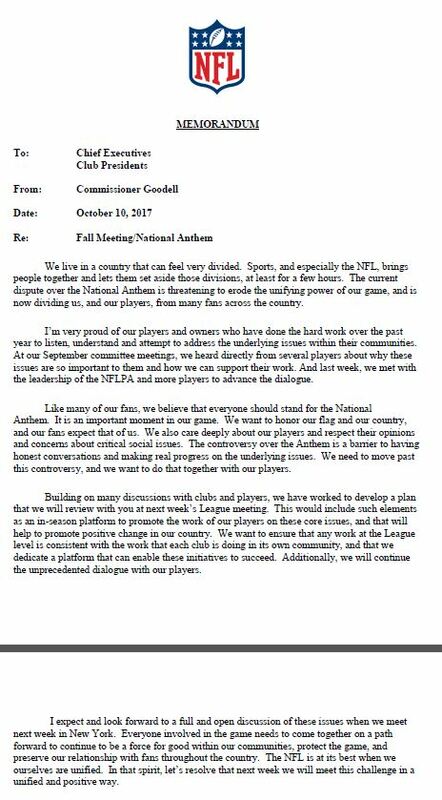 In a memo sent to teams, NFL commissioner Roger Goodell said everyone should stand for the national anthem and the league will present a plan this week to help "move past this controversy." This is hardly the first time politics and social issues have entered the sports arena. Professional athletes have a long history of refusing to just "stick to sports." Mike Collins examines the intersection of pro sports and social justice activism. Dr. Daniel Grano - Associate professor of Communication Studies at UNC Charlotte. His research focuses on sport, media, politics, and race. "Everyone should stand" during the national anthem, NFL Commissioner Roger Goodell wrote in a memo to all 32 teams, adding that the NFL will present a plan next week to help "move past this controversy." 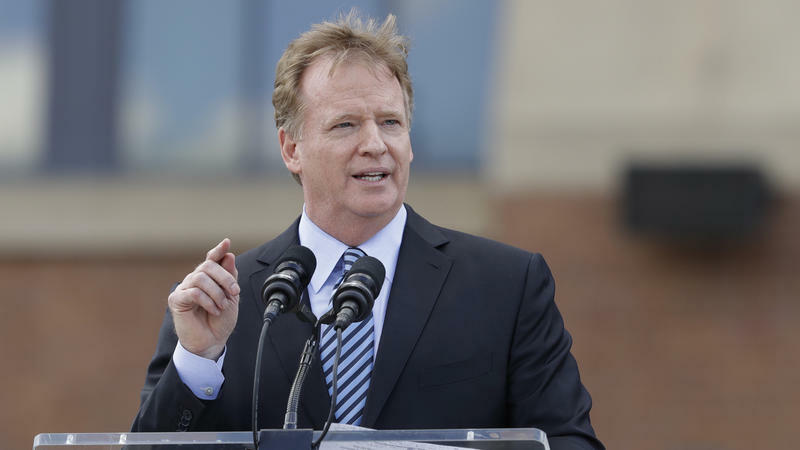 In the memo sent Tuesday, Goodell said he is "very proud of our players and owners who have done the hard work over the past year to listen, understand and attempt to address the underlying issues within their communities" and expressed respect for players' "opinions and concerns about critical social issues."